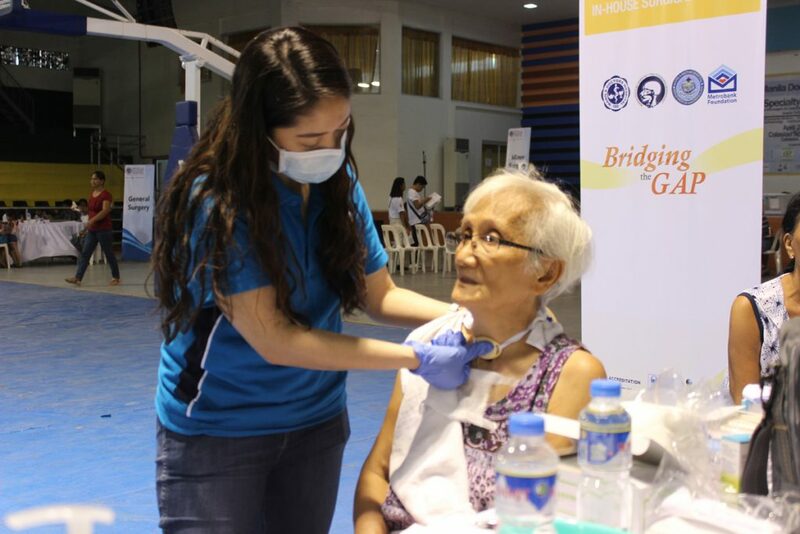 It was a successful medical mission for the team of Manila Doctors volunteers when they had 1,145 consultations and 44 minor surgeries recently in Calasiao Sports Complex, Pangasinan. Calasiao is a First Class Municipality and the second oldest town in the Province of Pangasinan. The Medical Mission was conducted here to give medical assistance to the town folk since there were no hospital in Calasiao and no doctors with specialization in the municipality. The minor surgeries done were mostly on sebaceous cysts, circumcisions, lipoma and dermatofibroma. The multi-specialist team of doctors came from the different clinical departments of Manila Doctors , comprising of doctors from Family and Community Medicine, Internal Medicine, Otorhinolaryngology, General Surgery, Pediatrics, Opthalmology and Ob Gyne. In all, a total of 20 doctors, 26 other volunteers including nurses, pharmacists, and from MDH’s Facilities Management Department, Medical Records, and Linen and Housekeeping unit were onsite to ensure that the mission would go smoothly. The Manila Doctors Medical Mission was made possible with the collaboration of its Corporate Social Responsibility Office (CSRO) with the local government unit of Calasiao, Doña Marta Hernandez Foundation-Victory Liner, Office of Senator Gatchalian , Our Lady of Lourdes Parish –Doña Remedios Trinidad, Bulacan and GT Foundation.